Q. 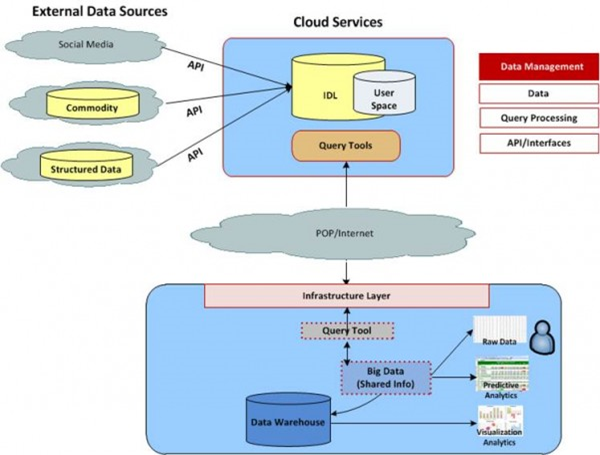 WHAT IS CLOUD ANALYTICS? · Gartner defines the six key elements of analytics as data sources, data models, processing applications, computing power, analytic models and sharing or storage of results. In its view, any analytics initiative “in which one or more of these elements is implemented in the cloud” qualifies as cloud analytics. · Examples of cloud analytics products and services include hosted data warehouses, software-as-a-service business intelligence (SaaS BI) and cloud-based social media analytics. · It provides users with a better forecasting technique to analyze and optimize the service lines and provide a higher level of accuracy. · This cloud analytic service is supported by different type of competency areas. · The cloud analytics strategy helps clients to achieve their business objectives faster with less risk and at a lower cost. · Another competency is business intelligence and performance management that helps to increase performance by providing accurate and on time data reporting. · The next is analytics and optimization that provides different types of modeling techniques, deep computing and simulation techniques to increase the performance. · The other competency is content management system that includes the different service architecture, technology architecture. Q. HOW CLOUD ANALYTICS WORK? Cloud Analytics works with the combination of hardware services and middleware. · The system features include the platform that provides data reporting analytics based on text mining activities and analytics techniques. · This system also takes care of storage optimization and different high performance data warehouse management techniques. · Analytics help to get the right information as and when they are required identify how to get it and point out the right sources to get it. · Analytics also helps in designing the policies faster based on the information available in the organization. · This gives the option through which the organization can increase its profit, reduce cycle time and reduce defects.